eCheck Information for Filtered Cigas and Tobacco purchases. - Our Checkout process is 100% Secure, using the latest SSL technology. - Account information entered for payment is sent SSL encrypted. server, there is NOTHING for hackers or online predictors (thieves) to steal. 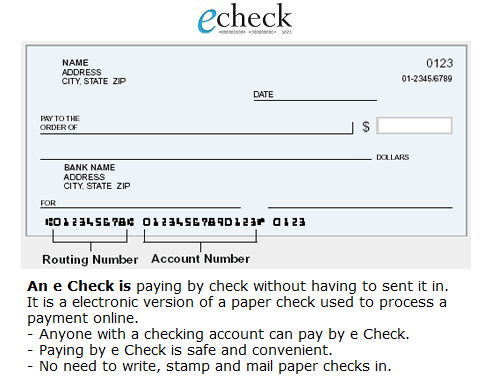 - We feel e Check is one of the best way for you to do your online shopping. GET THE BEST PRICING ANYWHERE ON OUR TOP 3 SELLING BRANDS!